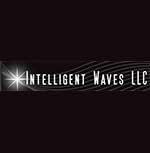 Intelligent Waves, a rapidly growing Service Disabled Veteran Owned Small Business has an immediate need for a Technical Integration Engineer – to support our mission critical work in support of our government customer. The ideal candidate will possess experience in multiple areas of IT such as networking, virtualization, storage, systems administration, and/or identity and access management. The candidate will join the Engineering Services division of the Company and work out Integration & Installation Services (IIS) projects. ES engineers are expected to work from a home-based location in the US and be ready to travel for various short-term engagements supporting a wide range of customers who require enterprise-level installation and integration services. This position will be remote and requires travel 90% of the time to US locations. You must be a United States Citizen and hold a current Top-Secret Clearance with SCI eligibility. Conduct infrastructure site surveys; planning and integrating technologies into existing operational environments. Make recommendations on software, hardware, cabling, and equipment for existing and/or new customer sites based on industry trends and best practices. Successfully execute installation projects, on-budget and schedule, and document project outcome. Configure Cisco, Nexus, and Juniper network switches, wireless access points, routers, firewalls, and virtual networking appliances. Install and configure the following Operating Systems (OS): Red Hat Enterprise Linux, Microsoft Windows Server, Microsoft Windows. Install and configure HP and Dell Enterprise Servers (i.e. HP c7000, Dell FX2s, Tracewells, VXRails). Install, configure, and deploy virtual environments or Software-Defined Data Centers technologies using VMware products such as vSphere, vCenter, and NSX. Configure Dell/EMC and NetApps storage technologies such as: Isilon, XTremIO, Data Domain, FAS, and Compellent. Configure and deploy Domain Controllers, Active Directory, and apply system/firmware updates and patches. A Bachelor’s Degree in Electrical or Computer Engineering, Computer Science or other related scientific or technical discipline. Top Secret clearance with SCI eligibility. Ability to pass a criminal background check, drug screening, and medical assessment. Must have minimum 3 years’ experience with the installation, operations and maintenance of hardware and software listed above. Experience with installing, configuring, and administering Linux/Unix/Windows/Cisco operating systems. Experience installing and configuring LAN environment equipment and supporting infrastructure, including routers, firewalls, and switches. Knowledge of Python, SQL, PowerShell Scripting, Java, Zope, WMI, and Docker. Experience with configuring monitoring capabilities thru TCP/IP and SNMP. Knowledge of Cybersecurity tools – ACAS, HBSS, ArcSight. Knowledge of Automation tools – Puppet, vRA, SCCM. Knowledge of Health and Status tools – Zenoss, Solarwinds, Cisco Prime. Since 2006, Intelligent Waves has remained committed to providing quality engineering, operations, and intelligence solutions to our clients and it all starts with YOU. Intelligent Waves provides a great and generous benefits package to include medical, dental and vision, a company matching (up to $1,000) Health Savings Account (HSA) to cover healthcare deductibles, paid sick & vacation leave and, life & disability packages. We also invest in our employees' futures by providing a contribution with vesting starting from DAY 1, technical training, tuition bonuses, and much, much more. Clearance Statement: Applicants selected for this position will be subject to a government security investigation and must meet eligibility requirements for access to classified information. Only US citizens are eligible for a security clearance. For this position, Intelligent Waves will consider only applicants with security clearances or applicants who are eligible for security clearances. Intelligent Waves LLC is an equal opportunity employer. We are committed to providing equal opportunity to all applicants and employees in full compliance with all applicable state and federal laws prohibiting discrimination on the basis of race, color, age, gender, religion, national origin, disability, sexual orientation and gender identity protected veteran status and individuals with disabilities, or any other class protected by applicable state or federal law. Intelligent Waves, LLC (IW) is a Service Disabled Veteran-Owned Small Business with nearly 60% of our employees currently operating full-time in overseas locations. Our extensive experience in deployed systems engineering has enabled IW to identify, document, and understand challenges that a traditional IT company or equipment reseller would not know, or be able to test in a CONUS lab or production environment. Are you both mission-focused and adaptive? Do you have a passion for innovation? Are you the one perpetually identifying solutions to the most complex problems? If yes, get ready to love working here!